1. What is the European Community Certificate of Origin? A European Community (EC) certificate attested (and stamped by a Chamber of Commerce) stating that your goods, being consigned overseas, are wholly obtained, produced, manufactured or processed in a particular country or countries. 2. 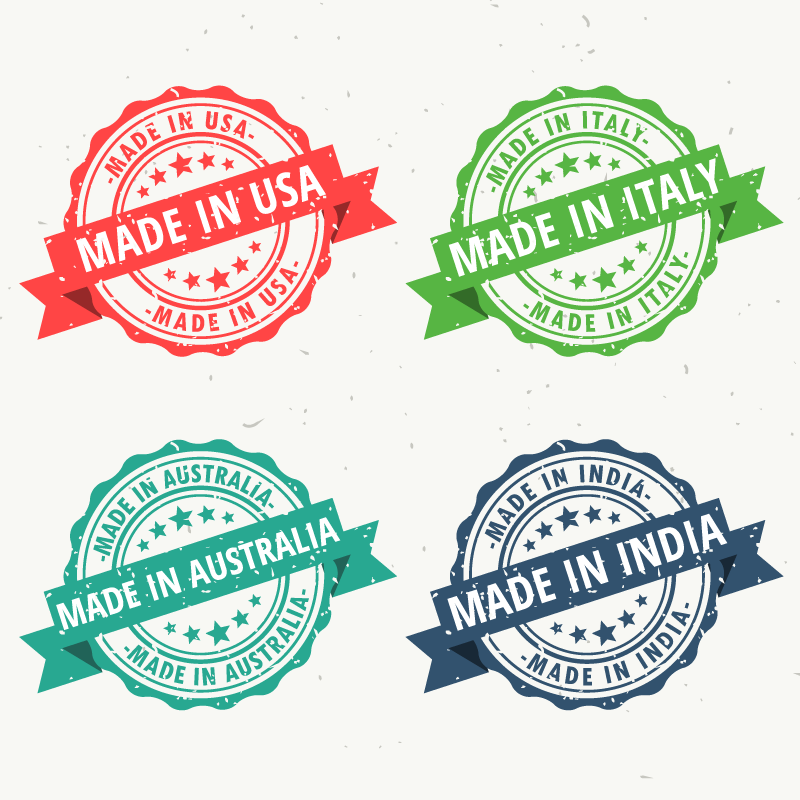 Are there different types of Certificate of Origin? Yes, there is the European Community (EC) Certificate of Origin and Arab-British Certificate of Origin etc. 3. As a UK business, what Certificate of Origin do I need? If you’re sending your goods to countries outside the European Union, then you’re advised to produce a Certificate of Origin. If the destination country is one from the Arab League of nations (see list here) then you’re encouraged to use an Arab-British Certificate of Origin, otherwise, use the EC Certificate of Origin to destinations outside the EU and Arab League countries. 4. Why do I need to have a Certificate of Origin? To satisfy the buyer (in the destination country) as to the origin of your goods. 5. Can I export goods without a Certificate of Origin? Yes, only if the buyer or destination country does NOT require a certificate of origin. 6. Where can I get a Certificate of Origin and how much should it cost? Your local Chamber of Commerce, which must be accredited by British Chambers of Commerce to issue and process Certificates of Origin. The cost of certificates depends from Chamber to Chamber; whether you are a member or not; if you want the certificate electronically stamped (which you print yourself on blank pre-purchased printed certificates) or get a paper copy in the post/courier pre-printed and manually stamped. Again check with your local chamber of commerce or shop around by looking online at the costs for certificates processing by each chamber. Click here to download a sample EC Certificate of Origin, and here for a UK Chambers Price Comparison Guide. 7. What is involved in getting a Certificate of Origin? b) Paper + Printing: if you plan on doing the stamping “electronically” (online) AND you want to print the certificates yourself (called Express and Premium Express versions) then you’ll need to pre-order (purchase and have in your hand) pre-printed certificates to print on (and an inkjet/laser printer). You’ll have to get in touch with your chosen chamber to get these pre-printed blank certificates sent to you or collected ahead of time. Annoyingly, this part of the process isn’t entirely “electronic” because no matter what option you go for (either ‘you print’ or ‘chamber prints for you’) it still requires paper to be physically printed. – Application (pink back sheet). – The additional yellow-copy will have to come from a 2nd 3-part pack, which you’ll use to create the copy; the Original and Application from the 2nd 3-part pack, you’ll (er) dispose of in an environmentally friendly way – right? Oh, here’s a point worth considering: say all the details of your consignment (that you need to list on the Certificate of Origin) are more than can fit physically on a single Original sheet, then what do you do? You guessed it, get an additional 3-part pack, and pay for it too, so your continuation sheets flow from one Original to the next Original. Some of the online applications allow for a small print font, to squeeze more lines onto a page, or you can simply be economical with your wording. Whilst on the paper trail: if you’re going to do the printing, then you’ll need to know if your printer can print single sided or double sided, because the 3rd sheet (in the 3-part pack) being the Application, needs specific details printed on the back too. If you’ve got a single-sided printer (and you’re doing the printing) then be prepared to do Application page flipping, to allow for printing on the back too. Finally, on printing: no two printers are the same. Therefore, you’re well advised to pre-print a test certificate on a blank piece of paper; physically overlay it on the Original Certificate of Origin, and see if the printing lines up (you may need to hold both overlaid copies up to the light to check the alignment). If the alignment is out, then the online tool should allow you to adjust the alignment, which means repeatedly printing on blank paper and checking alignment until you’re happy it all lines up. Annoying paper right? Anyway, the easiest way is to complete the Certificate of Origin online, because the online program (such as www.edgecerts.com) guides you through and takes care of most of this printing complication for you. If all this is way too daunting prospect, then just get the Chamber of Commerce to print it for you and post/courier or collect it from them (don’t be surprised if you’re charged additionally for this service). a) Select the EC Certificate of Origin and complete it. The best way is to complete it online because the system will help you fill-out the certificate correctly. Alternatively, dust-down your favorite type-writer: feed in the certificate (with carbon paper inserts too):; scroll; type; ding; scroll; type; ding etc. away. See “How to complete an EC Certificate of Origin” at www.edgecerts.com. You may need to attach supporting documentation with the certificate, such as Commercial Invoice; Proof of Foreign Origin; Packing List etc. or anything your buyer may have asked for documentary evidence. Additionally, there may be requirements to get the Certificate certified by the chamber and Legalised by an Embassy (again don’t be surprised with any more charges and more time). c) The Chamber review your Certificate (application). If nothing is wrong with the way you’ve completed the certificate, and nothing supporting is missing, then the Chamber will approve/certify the certificate. They will then send back to you. Again fastest, simplest and cheapest is online; otherwise, it’ll come back to you in the post/by courier, or you can collect in some cases. In the event, the Chamber finds any errors, and you’ll get a rejection, which you’ll need to correct and reapply. Yep, you’ve guessed it additional charges may apply from the Chamber, not to mention the need to buy another certificate pack(s) if you’re going to re-print and re-submit. Here’s a top tip: completing the certificate online will save you the need to buy again because you only print when it’s approved by the chamber. 8. Why do I need a Formal Undertaking with my Certificate of Origin? There’s a variety of reasons, however, the most applicable one is to register your signature with your Chamber of Commerce. The other reason for the Chamber to have a Formal Undertaking in place is to remove the liability of origin inaccuracies declared by you on the certificate, away from the certifying Chamber of Commerce. That is, if you falsely declare (whether unintentionally or otherwise) on the certificate your goods were of a particular country (or countries) of origin, and you’re later found to have made a false declaration, then the Chamber of Commerce who certified the certificate are NOT held responsible. 9. Should my Certificate of Origin always have a Commercial Invoice? Yes, so that the Chamber of Commerce can verify that the buyer of your goods (also called the Consignee on the Certificate) is the same buyer that will be assigned the certificate of origin. Further, the products and their origin, as mentioned on both the Commercial Invoice and Certificate of Origin, can be verified together. 10. Must I use my local Chamber to issue a Certificate of Origin? Yes and no. Yes, if you’re planning on doing it all on foot (running back and forth to the chamber in person). No, if you want your computer to do the walking, then any UK chamber empowered by the British Chamber of Commerce to authenticate Certificates of Origin, can electronically certify your Certificate of Origin, from wherever you are. Use the power of online processing. Here’s a link to all the UK Chambers of Commerce that can issue Certificates of Origin (www.edgecerts.com/list-of-chambers).